A lovely petite personalised bracelet, a hand stamped initial with a small glass pearl floating on a bracelet. 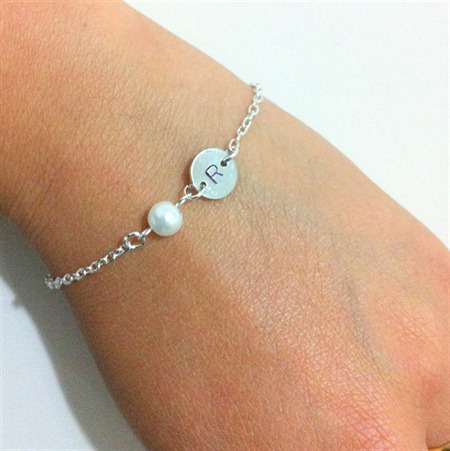 The initial is hand stamped by me attached to a pearl, then on a cable chain bracelet with a 2" extender. The bracelet fits a wrist 6"-8", however please try to measure the recipient's wrist. Please contact me prior to ordering, and I will set up your custom listing with your discount applied.